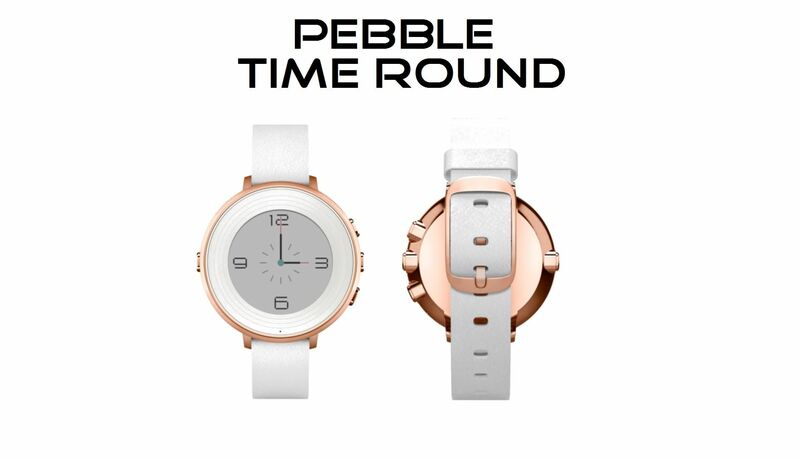 Allow me to present to you, the world’s lightest and thinnest Smart Watch on the market, introducing the Pebble Time Round Smart Watch. At a mere 7.5mm thin and only 28 grams in weight, move over Apple Watch. Are you in the market for a new watch? Why not a look into a smart watch? With the holidays approaching, a smart watch would make a cool gift for just about anyone who has a phone and is also interested in what time it is, which is well, pretty much everyone. I mean really, with a Smart Watch, think about everything you can do with just the flick of a wrist. The Pebble Time Round Smart Watch is always on and comes equipped with an easy to read screen, and when I say easy to read, I mean even bright enough to be read outside in the daylight. Let’s discuss some of the Pebble Time Round Smart Watch features. I’ve decided to break it down into three categories that I feel emphasize the “coolness” and “modern-ness” of the watch, and they are: notifications, battery, and personalization. 14MM Quick- change bands, available in a variety of colors to mix and match with your style. Did I mention the Pebble Time Round Smart Watch is comfortable and looks like a normal watch? Talk about having your cake and eating it too. Lastly, let’s take a look at the battery on this bad boy, unlike any of it’s predecessors, this Smart watch battery lasts for days that’s right, days, not hours. Can I play music from my Pebble Time Round Smart Watch too? Why certainly! Don’t even bother reaching for your phone, there is no longer a need. The watch is now available on Amazon and has different color options including Black, Silver, Silver/Stone, and Rose Gold. The Pebble Time Round Smart Watch can be purchased for approximately $249.99, and is compatible with Apple and Android devices. The makers of the watch call it an easy to use “time-saving device,“ no pun intended I’m assuming, it is a watch after all.